Among the reams of IPL ads rolled out, if there is one ad that is sure to make you chuckle without in-your-face advertising, it is Swiggy’s gulab jamun ad which shows an old man ordering and relishing a gulab jamun without letting his wife know. With simple insight and its brilliant execution, Swiggy's nimble approach has helped reinforce that if a brand tells a story well, it is sure to sell. Sticking to this truth, the brand witnessed a 25% growth in orders during IPL. Swiggy has garnered significant growth in orders and new user acquisitions post the IPL season. The brand also shared that there has been over a 10X increase in consumers searching for gulab jamuns on the platform post the ad. At the start of the T20 cricket season, Swiggy launched Match Day Mania, a 51-day long food festival that offered discounts across 13000+ restaurants in the cities Swiggy operates in.The campaign, apart from television was being promoted across print, radio, digital platforms, as well as in restaurants. 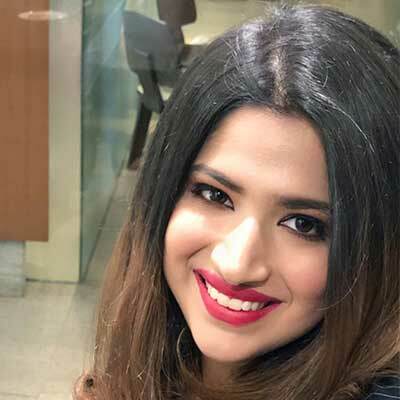 Swiggy also launched six relatable and witty television commercials in the beginning of the IPL season, the campaign also ran on digital and across the brand's social media platforms and it saw great resonance from audiences across various social platforms. The brand collaborated with Jordindian to create a couple of videos showcasing how cricket is best enjoyed with food ordered from Swiggy. Turns out that Swiggy took the innovative route by having an order delivered inside the pre-match presentation studio. The brand saw a huge increase in demand during the IPL season. Interestingly, post the gulab jamun ad, there was over a 10X increase in consumers searching for gulab jamuns on the platform. 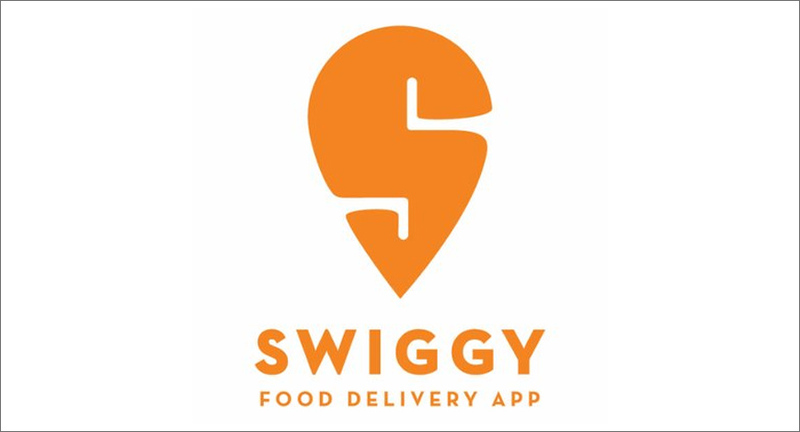 Swiggy received the highest number of orders in the final day of the IPL. 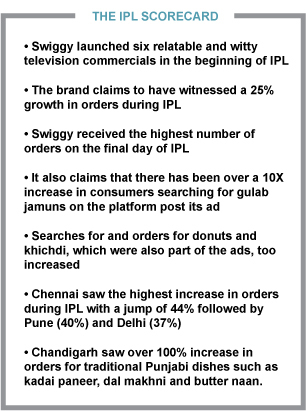 Post the TVCs, Swiggy witnessed an increase in searches and orders for items like gulab jamun, donuts and khichdi that were a part of the ads. The brand has witnessed significant growth in orders and new user acquisitions during the IPL season. Swiggy also shared that with CSK grabbing the coveted trophy, Chennai saw the highest increase in orders during IPL with a jump of 44% followed by Pune (40%) and Delhi (37%). Kings XI Punjab had a good run in the IPL, and so did the city of Chandigarh, with over 100% increase in orders for traditional Punjabi dishes like Kadai Paneer, Dal Makhni and Butter Nan. Srivats TS, VP Marketing at Swiggy told exchange4media that the campaign has not only received a lot of appreciation from consumers as seen across social media platforms, but also helped establish Swiggy's propositions, making it a part of every household's IPL culture. “IPL, India's biggest television sports spectacle which draws millions of people and cricket fans was a great platform for Swiggy as it placed us right where the consumer is present organically.” Srivats said that what made the campaign work was how connected Swiggy, IPL and the brand benefits in an engaging way.